Winding Trails Summer Day Camp consists of children between the age of 3 and entering eighth grade. We take a limited number of campers in each age group to ensure the quality of our program. Each age group is then divided into smaller groups within each unit. Campers are separated by what grade they are entering in the fall. All camp groups are coed. Three and four year old campers can look forward to an exciting summer at Winding Trails Summer Day Camp in our Scout group. Your preschooler can participate in a half-day camp program 5 days a week. They will have arts & crafts, sports, water play, and an exposure to nature, music, and more. Our staff, experienced in early childhood and camping, will provide a high quality program for your child. 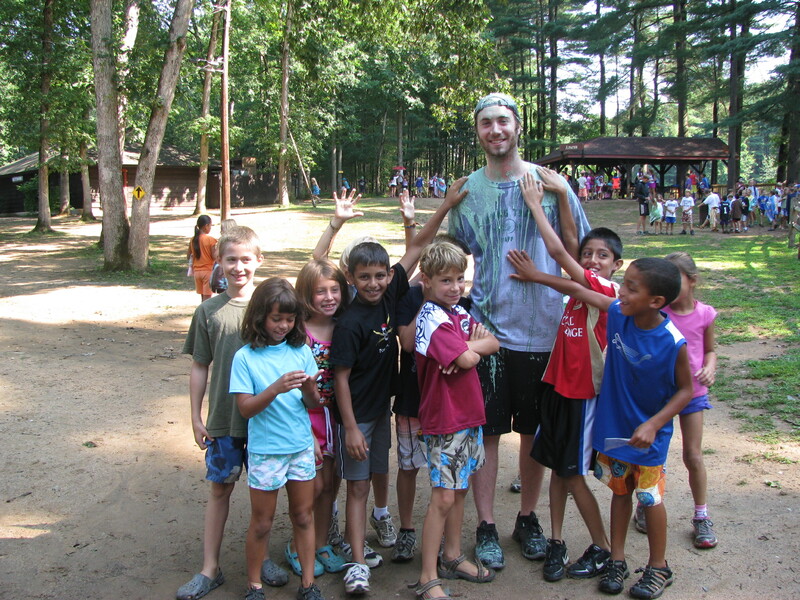 A very low counselor-camper ratio will assure that your child receives individual attention. The Scout session is from 9:00am to 1:30pm. Children must be toilet trained. Swim Lessons are not a part of the Scout program. Friend requests are accepted but are not guaranteed to be honored. We do our best to accommodate one friend request per camper per season. Please put your friend request in writing to the camp office no later than April 1st as groups are finalized in early April.